Wow, that looks crazy-sturdy! 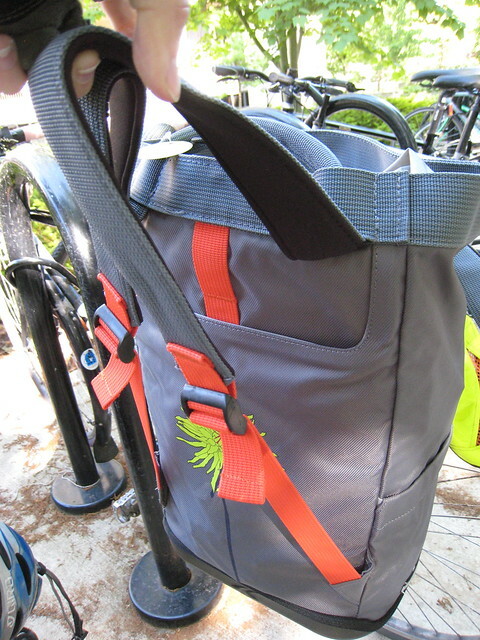 Good tight stitching and thick webbing…I am looking forward to details about the rack-mounting clips; they’re often the Achilles heel of panniers. Yes! 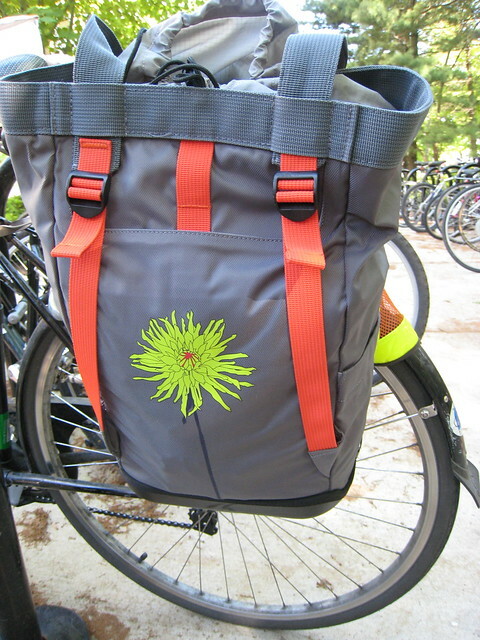 I love seeing reviews of panniers — it means it’s big time touring time! The best way to spend a summer is in the saddle! Nice! Seems like a really well-thought-out design. I’d probably prefer total waterproof-ness rather than a removable raincover, but otherwise seems good. That looks like an excellent product. Looks pretty…and I love the backpack conversion! My only concern would be that there is no lower attachment to prevent swinging. Look like an awesome bag/pannier. Thanks for sharing. I am more of a trailer man for long hauls, but if I ever considered panniers this would be the one. 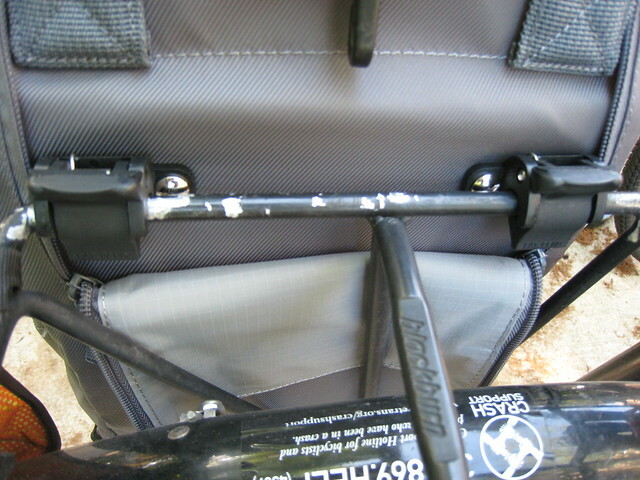 @kat, I was initially concerned about the lack of lower attachment, too, but so far I have not noticed any problem. 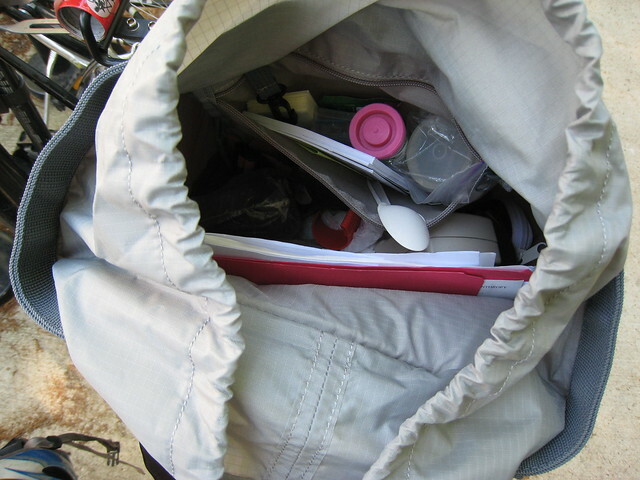 In fact, this bag is very stable on my bike. The clips keep is securely fastened to the rack (vs the hooks that my Banjo Bros. panniers use) and the base of the bag seems to anchor it in place. I’ll be sure to report any issues I encounter in my full review after putting it through the paces.